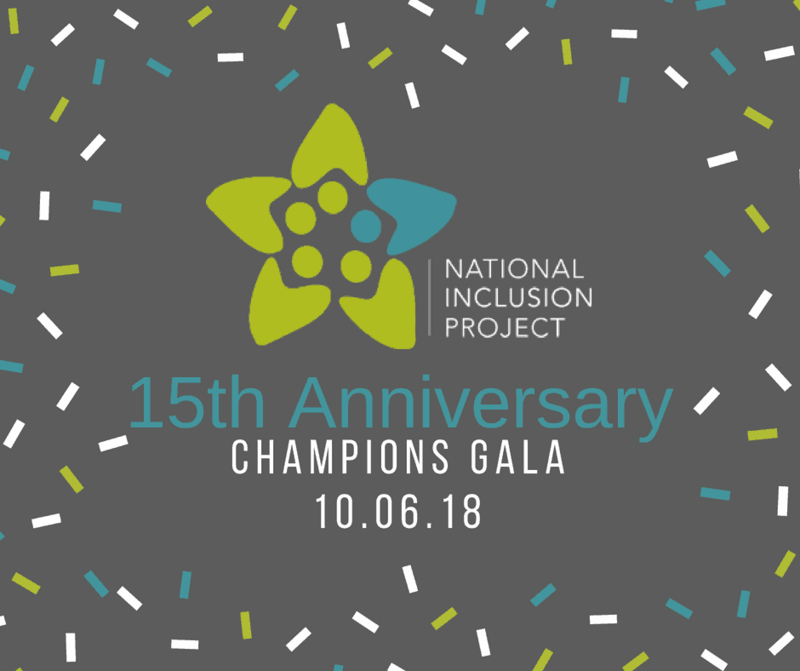 Just in case you haven't heard, National Inclusion Project is celebrating 15 YEARS of friendship, play and inclusion this year. So what better excuse to shake things up and try something different for our biggest event, the Champions Gala?!? In a conveniently ironic twist, we are taking things back to our roots in good ol' Raleigh, North Carolina, birthplace and home-base of the Project. We've enlisted some of the best venues in town, including the Marriott City Center (the official Gala hotel), the beautiful A.J. Fletcher Theater at the Duke Energy Center for the Performing Arts, and the palace of play itself, the Marbles Kids Museum. There'll be music. There'll be merry-making. There will be friends old and new. And memories. So many memories. 15 years worth, to be exact. And we can't wait to make new ones with you! We've added even more fun and fellowship for this momentous occasion. If you're heading into town Friday night before the Gala, we've rented out Venture Hall at Marbles Kids Museum for the Official Gala Pre-Party. Think food, cash bar, and play of course. This is one party you won't want to miss, so make sure to get your ticket (a separate purchase from your Gala package). If you are considering registering for a Gold or Platinum Gala package, we're making the deal even sweeter! This package now includes a special Saturday luncheon at the scrumptious Pizza La Stella in downtown Raleigh. Conveniently located just a few short blocks from Marriott City Center, we'll be taking over the joint to celebrate each and every one of YOU. There will be inspiring speakers, equally inspiring gourmet pizza, and we sincerely hope you will join us. One thing that hasn't changed: ALL Gala proceeds go directly to supporting NIP and our mission to ensure children with and without disabilities can laugh, learn, and play together! *Our co-founder Clay Aiken's attendance to the Pre-Party and Lunch is dependent upon his availability and not yet confirmed.